Most people don’t expect to be able to buy a casino, but employees in Illinois bought a struggling casino through an employee stock ownership plan. We normally don’t capture offline casino news often, but we thought this was a pretty cool story. The casino in question is the Casino Queen, a casino located on the East St. Louis riverfront. The previous owners are the Koman family and investing partners. The company has had a 20 year run, but things are definitely changing in the local marketplace. It’s no secret that we are in a recession economy, and revenue has been down at the Casino Queen — many competitors are now in the area, making it hard to get sales up to where they used to be. The deal assumes $31 million dollars of existing debt and was done through an employee stock ownership plan. The stakes were sold for $170 million total — not terrible. The deal was studied intensely by the Illinois Gaming Board. They voted unanimously to approve the sale on December 20th. The Employee stock ownership plan (ESOP) will be managed by Jeff Watson and Robert Barrows — the Casino Queens’ general manager/president and CFO, respectively. The company’s stock is held in a trust through the ESOP, and the employees will receive a payout when they retire or leave the company. The Casino Queen has 700 employees, and most will be permitted to participate in the new ownership plan. The plan provides retirement benefits tied to the casino’s financial performance. 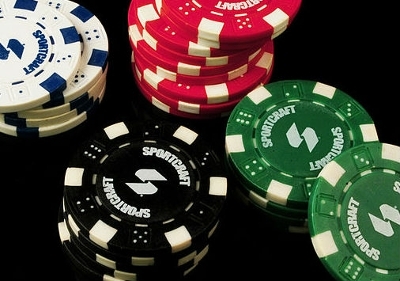 It allows employees to become owners, and holds them as part of the casinos’ ultimate success. Employee owned companies can be big business — Graybar is a company based on Clayton, MO. It has 5.4B in revenue last year and is employee owned. ESOP companies know that they have something to lose if there is a change in ownership. The Casino Queen has a 40,000-square-foot gaming floor with over 1000 slot machines and 27 table games. Jim Koman, part of the Koman family who held a 20 percent ownership stake, informed the St. Louis Post Dispatch that the ownership group had several inquiries from buyers in the recent years but wanted to sell to the ESOP to keep management the way it was. The investors are definitely ready to move on, but Jim Koman will stay on board as the Casino Queen’s board of directors member. This entry was posted in Casino and tagged buy a casino. Bookmark the permalink.